The human brain is only 2% of our weight, but takes up 25% of our energy. The word prosopagnosia describes the inability to recognize the faces of familiar people, ie face blindness. It most often happens after a brain injury. The moro reflex is one we have at birth, and then outgrow. Other reflexes like that are the rooting reflex, and the hand grasp. Joyce shares the biggest mistakes in removing your make-up, and steps to right those wrongs! If you have a dog in your life, I guarantee you'll want to try Dani's treats that are good for our puppy's teeth. I can't wait to make some for my own! I love this casual outfit on Bri - doesn't her hair look so pretty? Plus I can't believe those jeans are from Old Navy! The Siwy distressed denim I ordered from Shopbop ended up being too short on me, but Grace mentioned this pair from BlankNYC, and with a 32 inch inseam (and currently on sale! ), I'm hopeful. I stumbled across these block heels from Sole Society, and immediately ordered them. The heel is enough to make it a little dressier, but the leather and casual style make them versatile. I'm interested to see how they look in real life! During the next good sale, this red crossbody from Loft is definitely coming my way! It's exactly what I'm looking for (while not being $800). Do you do most of your shopping online? If so, how do you deal with picking the right size and fit? Do you find you spend a lot in online returns or do you return in store? I do. I live about 90 miles away from a larger mall, so I'd say almost 90% of my shopping is done online. Before I buy anything, I read the reviews and google the item to see if any bloggers have reviewed the item. Usually that's enough to make me decide if I want to try an item or not. If it's from a store that has free returns and I'm unsure of sizing, I may order two sizes just to be safe. I also sometimes do this if I know I'll be a mall soon, so I can return the other item without having to pay the return shipping costs. Working in a hospital setting, how do you stop yourself from getting sick (colds, flu, etc.)? I wish I had a good answer for that, but to be honest, I got sick three times while I was on internal medicine, so it's not like I've perfected it yet. I just wash my hands a lot, take my vitamins, and take some extra vitamin C on rotations with a lot of germs (like right now!). I've followed you since 2012, after clicking on a series of link from someone else's blog. You'd been doing this for a long time, and well, I'd like to know: At what point do you think you'll stop blogging? Ohhh, interesting question! Well, in two weeks, I will have been blogging for four years. I have never planned an end day for this whole blogging thing, and since you've been following for so long, you will have noticed how much Franish has changed over the years. 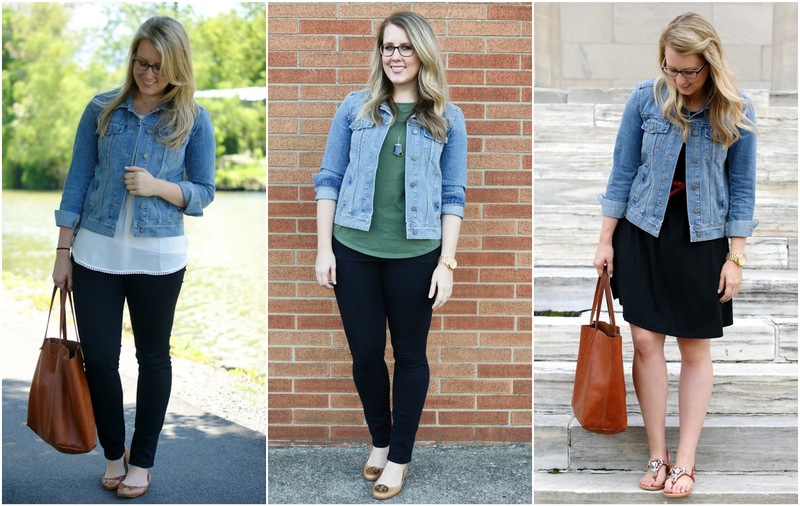 It all started as an ootd kind of blog - I was posting outfits almost every day of the week. Once I started medical school, I somewhat kept up with the outfits, but started incorporating a bit more about my new life in school. Once I started rotations this past June, I no longer had as much control over my time (or the sunrise), so that's when I've branched out more with beauty posts. So that is all really to say that my blog has evolved, and I assume it'll evolve as I graduate from school next year and start my residency. I'm not quite sure when I'll stop, but I currently don't have plans to. on the blog: my 24 (...28) hour call on OB. The grommet detailing on this top are particularly cute. PJ sets are my favorite (I have like 10 sets) but how could you resist this shorts version?! Too cute (I want it monogrammed, of course). I love the neutral tones of this tote! Although the mint is pretty too. An on sale bag that I may like even more - this one is actually very tempting. I finally picked up Living Proof's dry shampoo - people seem to be obsessed with it, so I can't wait to try it for myself! My big splurge this round was Drunk Elephant's glow kit. We will see how it works out! Dry skin? I recommend First Aid Beauty's Hydrating Serum - it's my holy grail skincare item! I started my pediatrics rotation this week. It's been okay. I love the kids but sometimes you just don't click with a rotation. I guess it's probably normal when coming off of a rotation that I loved so much. Like I mentioned earlier this week, this coming week I finally am going in for color and a trim, and I can't wait. My hair has been particularly unruly lately, and it needs to be beaten back into shape!